A series of shed-esque structures are designed by Irving Smith Jack Architects to lap the coast in this simple, but thoughtful addition to a rural surf town in New Zealand. From a context of accrued simple shed-esque dwellings in an isolated and south facing New Zealand coastal surf community, a strategy of sequencing building ‘sets’ (aka surf) was generated to scale new form to its surrounds. New ‘shed’ sets are then offset to allow seasonal living, circulation, and privacy options and for variations in wind and sun exposure. Summer opens and invites in community; with diagonal movement connecting offset and shaded external spaces. Here living holds minimal interior use, with summer circulation defining informal house boundaries, and the control of sand. Circulation then internalises for winter shut down, with high level northern openings capturing precious northern light and warmth, and offset forms providing shelter to the southern exposure. The ‘shed’ typology follows New Zealand architectural vernacular accruing from rural and isolated beginnings, and the simple, self erected, elemental buildings still apparent within these remote provincial communities. Within this new set of ‘sheds’, timber pergolas and ceilings collate pathways within simple metal and plasterboard linings to efficiently define offset spaces and welcome an eclectic collection of furniture, the coastal community, and surf. Sign up to enjoy the latest mouth-watering homes delivered in-time for your lunch break. 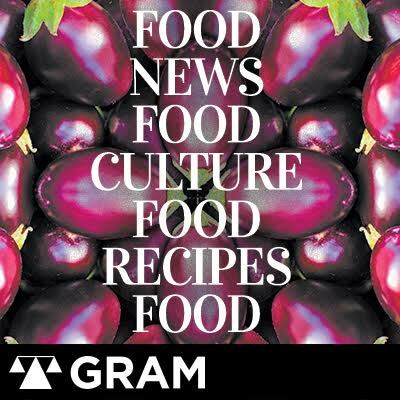 Affiliate Product Gram Magazine GRAM magazine is a bi-monthly print/digital magazine of how a city experiences all things food and drink. © 2019 Lunchbox Archimedia Pty. Ltd.